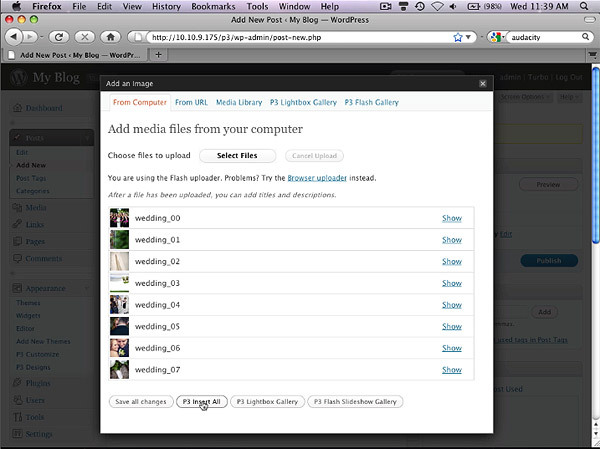 This short video gives you an overview of the image and gallery features available in ProPhoto. Detailed information about images and galleries can be found below. For a text tutorial concerning directly inserting images go here. How to properly size and optimize images before uploading. There are a number of different options for creating a portfolio area in a ProPhoto site. Create client gallery pages (with password protection) for client proofing. Add music to play along within ProPhoto Slideshow Galleries. Add extra images to an existing Gallery, or remove unwanted images from a Gallery. Note: galleries can only be created from images added to a page/post, not from images previously added to the media library.